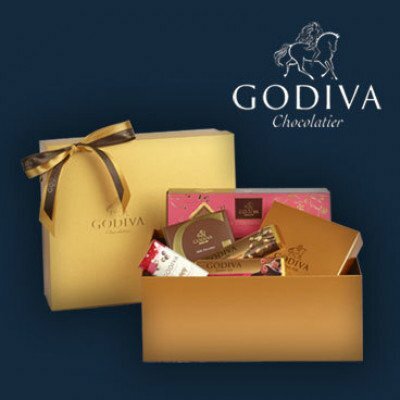 Receive a sumptuous hamper of luxurious Godiva chocolates with every Headwater holiday booked by 30th April 2019. We want to pair you with your perfect holiday this Easter, so to celebrate one of our favourite aspects of a Headwater holiday, you’ll receive a complimentary Godiva hamper of handcrafted Belgian chocolates to enjoy as you contemplate your upcoming escape. Gastronomic experiences are intrinsic to the Headwater experience, and many of our holidays include pairing experiences or tastings as part of your journey to the heart of a destination. Our friendly team are always ready to help you with the perfect pairing for your next holiday, whether you’re looking for chocolate-inspired destination or beyond. Our holidays will take you to the culinary delights of each region, with wine tastings, cheese tastings, local breweries and traditional – even Michelin starred – meals included on most journeys. And of course delicious artisan chocolates. So if you have a taste for the finer things this Easter, then let us pair you with your perfect escape for a match made in chocolate heaven! Simply book by 30th April 2019 and quote EASTER19 to receive your Godiva Chocolate hamper. Terms&Conditions Please quote offer code EASTER19 at the time of booking (if booking online please enter this code in the ‘Special Requests’ box). Valid on bookings made between 01/04/2019 and 30/04/2019 only. Valid on trips departing between 01/04/2019 and 30/09/2019 only. Only valid on all departures as shown on our website. This offer is not combinable with any other offers apart from Loyalty Discounts. Headwater standard Booking Terms and Conditions apply. If booking a Flight Inclusive trip, flight supplements may still apply. This offer is only open to people who live in the UK and book direct with Headwater. This offer is subject to availability and Headwater reserves the right to change this offer at any time. This offer is not transferrable, there is no cash alternative and no correspondence will be entered into. This offer is not available to Headwater Staff or to their immediate families.